Digital transformation and the related significant changes to work procedures and business processes create new requirements on employees’ knowledge and skills. According to a recent survey by the Hacket Group Company, 89% of leading members of the business services sector are convinced that digital transformation will radically change business requirements, but only 26% of respondents have the correct competence to manage this transformation. It is also for this reason that the sector is placing increasing emphasis on corporate education of employees. Compared to the rest of the market, business services centres dedicate up to four times as much time to education. The recently awarded Siemens Company actually dedicates even more time. Jonathan Appleton, Director of the ABSL Association, comments, and he adds that employees in this sector have no problem with education, on the contrary, corporate education is one of the most desirable benefits in the business services sector. “Over three quarters of employees of Czech business services centres state that the education their employers provide them is high-quality and that they are satisfied with it,“ says Jonathan Appleton, and he adds that employers from this sector provide their people with an average of 40 hours of education a year, which is nearly four times the nationwide average according to the most recent data from the Czech Statistical Institute. Interest in education is also indisputably sparked by the fact that, according to various forecasts, 50-60% of jobs in the business services segment will be replaced by technologies within the next three years, and this is also linked to the creation of new jobs. According to estimates by the ABSL the influence of new technologies and trends will also mean that more work roles will originate than will disappear. “Companies from our sector already need experts of a new type as a result of implementation of robotic automation,“ says Jonathan Appleton. 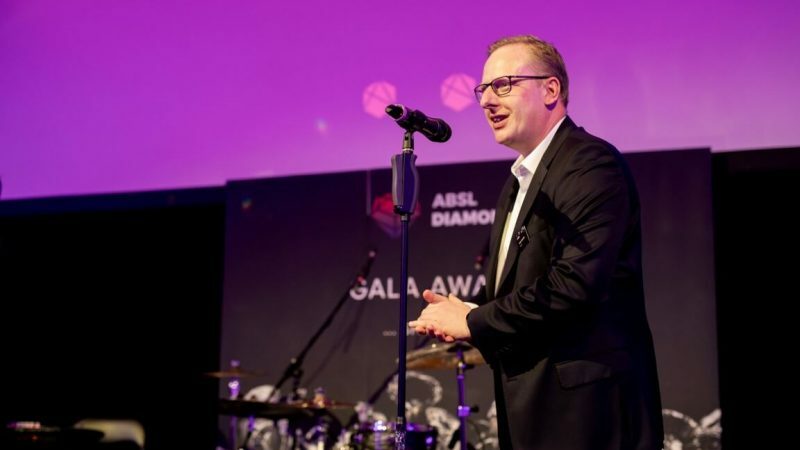 The Siemens Company, which received the ABSL Diamond Award for its complex educational programme, provides enormous inspiration for the sphere of corporate education. It develops its employees throughout their entire career with the help of its own Shared Services Academy, which offers over 200 educational activities provided by a 70-member team of internal instructors, either in the form of in-class courses or by means of e-learning courses. All educational activities are managed using the internal LMS (Learning Management System) and other technologies are also used within the terms of the courses, such as virtual reality for instance. Thanks to the academy each employee receives approximately 60 hours of education a year, which is three-times more than four years ago. Up to 90% of all courses are designed, created and managed by internal instructors recruited from among the employees themselves, which means that cost for corporate education are considerably lower when compared to use of external sources. In spite of the fact that companies are often aware of the importance of corporate education, they invest the minimum amount into this sector. The business services segment is an exception to this rule. According to the most recent data by the Czech Statistical Institute, 79% of Czech companies use external suppliers to provide corporate education and invest an average of CZK 3,134 per employee a year. Employees in the Czech Republic spent an average of 0.6% of their paid working hours on education in total, i.e. an average of approximately 11 hours a year per one employee. The Siemens Company’s approach should therefore be motivational and inspiring for others.